South Bombay is full of surprises, with lanes and streets that lead you to places unknown. On one of these walks exploring town, we chanced upon a store that screamed antiques from a mile away. Inching closer, we discovered that there were all sorts of knick-knacks that were on display; right from antique lighting to cutlery, figurines for your home or garden to even décor items. Located in Vaswani House, just across B.E.S.T. Marg in Colaba, this sprawling store has an air of mystique around it. More than a decade old, it houses treasures from old India and around, keeping them behind glass shelves and showcases for a better view. We found blue pottery, cutlery, silverware, chandeliers, marble art, paintings, light fittings, curios and even wooden furniture on sale. The prices depend on each item which is unique. 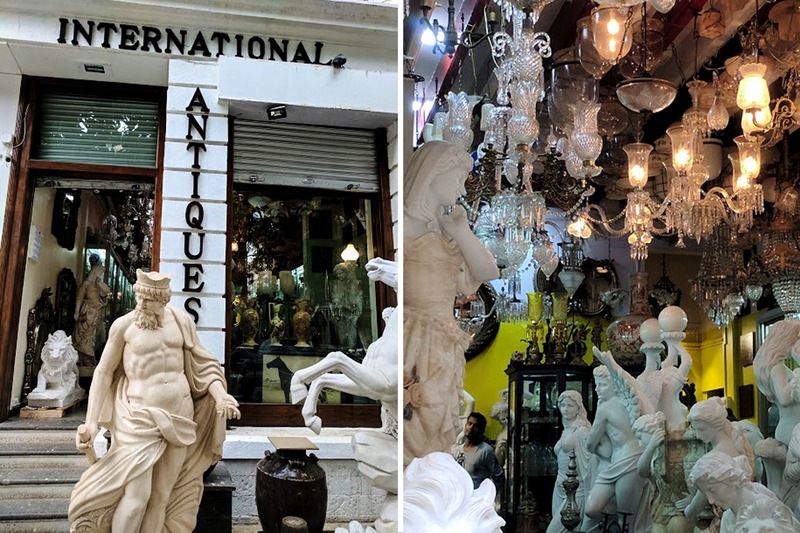 It can start from something as low as INR 300 for a pair of antique knives and brick-a-brac and can even go up to a few lacs for the big marble figurines that can be displayed only in houses that have a garden or are above 4,000 square feet in size; a rarity in the city. Make sure you have a budget in mind before you end up walking into the store. There are many things on display that can tempt you. But, you have the chance to turn parts of your home into a period novel where fine furniture and decor was a rage, and it’s time we bring that back into the fold.